Ankara in Turkey is home to the British Embassy in Turkey however there are a number of consulate in Turkey and many Honorary Consulates located in the country. 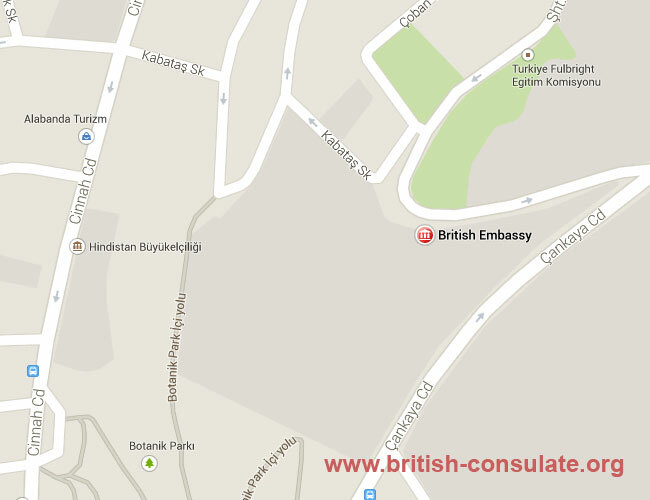 If you as a British citizen have the need for assistance from the British government then you can approach any of the consulates or the embassy in Ankara for consular assistance. If you are a British expat you can register a birth at the embassy, you can also register a death and also a marriage while in Turkey. You can also ask for assistance with understanding the local laws and gain access to a public notary. If you are a Turkish citizen then you can apply for a visa to the UK such as a visitors visa, marriage visa or a fiancee visa if you are married to or engaged to a British national. The contact details for the British Embassy and Consulates are listed below including their telephone numbers, maps and email addresses.